Today I’m sharing the secrets behind Leaping Bunny Certification. Now I know it’s no secret that I love Leaping Bunny and I often ask brands to become Leaping Bunny Certified. Many brands try to claim that it’s expensive and a very long process. I’ve done the research and today I’m going to demystify the certification process for you. Myth – It’s expensive to become Leaping Bunny Certified. Busted! – It’s FREE to become Leaping Bunny Certified. The Leaping Bunny Program, developed by the Coalition for Consumer Information on Cosmetics (CCIC), is a voluntary pledge that companies make to not test on animals during any stage of the product development. Companies also must have their ingredient suppliers make the same pledge. This gives us, the consumers, a product guaranteed to be free of animal testing as of the fixed cut-off date. This means that a company doesn’t conduct testing, doesn’t contract testing out to a third party, doesn’t purchase ingredients that were tested and doesn’t sell in a country that requires animal testing. A company that receives Leaping Bunny Certification is required to recommit annually. Myth – It’s expensive to use the Leaping Bunny Logo. Busted! – The Logo fee is an optional ONE-TIME FEE based on a company’s gross annual sales that ranges from $500 to $4,500. The licensing of the logo allows companies to use the Leaping Bunny logo on a company’s packaging, their marketing materials, website etc. If a company chooses to not license the logo, they are still Leaping Bunny Certified and are listed in all versions of their Compassionate Shopping Guide (print, web, and smartphone app). Plus, they can still take advantage of a whole list of FREE promotional opportunities. Myth – It takes a long time to become Leaping Bunny Certified! Busted! – The process can take as little as a week to as long as indefinite! The delay usually is due to the fact that suppliers and manufacturers can sometimes take awhile to sign their declarations. The average is usually 2 weeks to 2 months. The more on top of their application a company is, the faster it goes (i.e. following up with suppliers/manufacturers to get them to turn in their declarations). So the delay is not from the Leaping Bunny organization, who processes paperwork quickly on their end, but from the ingredients suppliers. Myth – The USA Law requires animal testing for X product. Busted! – No, neither the FDA (Food & Drug Administration) nor the US Consumer Product Safety Commission requires animal testing for cosmetics or household products. The responsibility is on the company to demonstrate the safety and efficacy of the products they put to market however which way they choose. Yes, virtually every ingredient, including water, was tested on animals at some point in the past. However, we can prevent future animal testing for cosmetics. Myth – There’s no benefit to acquiring Leaping Bunny Certification. Busted! – In addition to a company showing that they’re compassionate to animals, a company that receives Leaping Bunny Certification is listed in all versions of the Leaping Bunny’s Compassionate Shopping Guide. Leaping Bunny reaches over 10 million people, as well as supporters of the animal groups that form the CCIC. Myth – The Leaping Bunny program is only recognized in the USA. Busted! – Leaping Bunny is recognized in the USA, Canada and the European Union. It’s an international logo! It’s free to become Leaping Bunny Certified. Any company that is certified must recommit annually. There is an optional one-time sliding scale fee to use the Leaping Bunny logo. It doesn’t take a long time to get certified, provided the company communicates effectively with their suppliers. Your company will be promoted to over 10 million people online, in the app and in the Compassionate Shopping Guide. Leaping Bunny has a cool app that you can download for Android and iPhone. You can also visit Leaping Bunny online. Now, if you’re a cruelty free company, why wouldn’t you want to get Leaping Bunny Certification? It really does have a lot of benefits! Let brands know how easy it is to become cruelty free! What do you think of Leaping Bunny? Have you used their list? 10 Life Changing Beauty Hacks You NEED to Know! Is Black Up Cosmetics Cruelty Free? This clears up a lot of questions!! I love that they make it easy and affordable for ANYONE who is certified to use the logo. It’s only smart on the brand end, anyway. Cruelty Free users will look for that label first. I definitely think it’s important and I was happy to find out that it was free! Great information to know. I really wasn’t sure about it all and this information was very helpful. Interesting! I really didn’t know anything about this process. Doesn’t seem like there is much of an excuse for makeup companies not to pursue Leaping Bunny certification. I think it’s really beneficial, especially to smaller brands. I’m always happy when I see that bunny on my products or when I read on your list that a company is certified. I love that you spelled it all out. This is really great information and very useful. Thank you for posting it! Great info! Goes to show you how many companies lie about the process, what a shame! I think many companies don’t look into it or don’t see the benefit. I hope this changes! Thanks for explaining the process, and for the app link. I’m installing it now. It will be a big help when out shopping. I can never keep completely straight who is CF and who isn’t. I realize not all CF are LB certified, but it’ll be a good tool anyway. It’s a great starting point! Great post, as always. This shows that when a company claims to be “in the process” of getting certified for months and years, something’s not right! Yeah it shows that something is going on with the ingredient supplier. Sometimes, that means that the brand is trying to find a new supplier that is cruelty free. Othertimes it means that they’re just ‘in process’ so that people think they’re cruelty free without ever finishing the certification. It had always frustrated me to be told it was really expensive, especially when I researched and saw it could be done for free. Me too! Brands can do it for free and then be advertised to over 10 million people. How is that not a win? Thanks for sharing this. I have often wondered about the process. Sounds like it is a lot more hassle-free than many companies make out. No problem! And I think it is! The hard part is the information from suppliers. 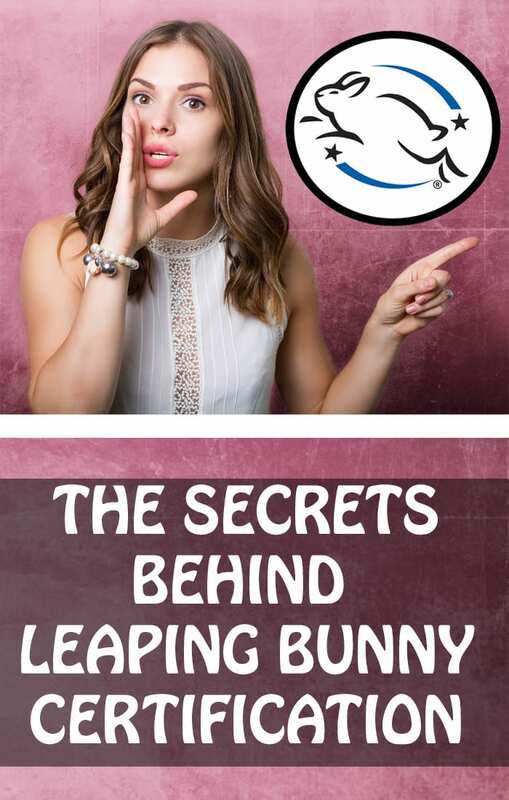 This is so informative, and you certainly have dispelled the myths surrounding the Leaping Bunny Certification! Thank you for posting this, Courtney! Such a helpful article! No more excuses! What is your go-to shade of nail polish?